At least since its Hegelian inception, phenomenology has been charged with idealism, with collapsing world and subjectivity. To this criticism, Theodor Adorno adds that phenomenology collapses into subjectivity and irrationality precisely in its claim to escape from the provenance of reason and things. 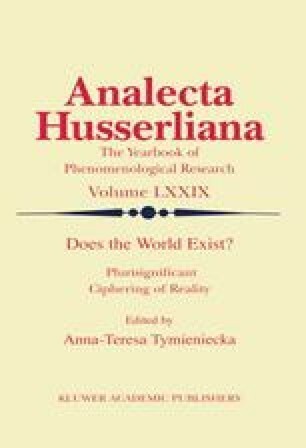 This paper constructs a Heideggerian response to Adorno’s critique in Negative Dialectics, and thus a defense of phenomenology’s notion of world (to the extent that Heidegger seeks to determine the conditions of the possibility of having phenomena). The crux of Heidegger’s argument against the dialectical or negative dialectical criticism is that world, taken as “the manifestness of beings as such in the whole” (Die Grundbegriffe der Metaphysik, 418), cannot be ensnared in the discourse on the subject and object because it is the condition of discursivity, and thus of the derivative linguistic realm of subjectivity and objectivity. But this form of disengagement from subjectivity, objectivity, and representation, in being’s irruption into the condition of the possibility of discursivity, paradoxically constitutes the radicality of the Heideggerian world, for if the philosophical thinking of differences is possible, it must occur in and through the differentiating of thought from universal discursivity. Therefore, Heidegger’s protophenomological world subverts this argument on its own terms by determining the conditions of dialectical significance, and thus justifying a non-dialectical phenomenology.